If you around the common social and cultural political spectrum, that what would you find that truly startles you. There is abject poverty, extreme vagaries of life that dangle between the rich and poor divide, rapidly deteriorating cultural roots in an India largely on the verge of transformation. Yet, at the same time one cannot go on to negate the many positives that fill our firmament of examining an India in the 21st century. Enabling broader equality between both genders, we now have as many women entrepreneurs and corporate leaders as the many male dominated head-honchos who are driving the business tide of one of the world’s most robust economies. Locking horns with China and giving enough reason to Barack Obama’s USA is an India that is fast emerging from the clutches of its wayward past. Our hero’s who earlier mostly emanated from the lines of film industry, sports and were among legions of celebrated business tycoons are now getting great competition from environmentalists, activists, human rights lawyers and healthcare experts and writers, whose tremendous exploits aren’t just a motivation for national uprising but are creating waves around the globe. But amidst, such lofty praise that a rapidly transforming India has garnered from the liberalized times of the 90s to the entrepreneurial high tides of the 21st century, somewhere, our political figures continued to endure much battering. It wasn’t always an uncommon phenomenon to hear the common man on the road to a criminal standing inside the witness box confessing apart from his crime that the entire political system of the nation made him a petty thief. 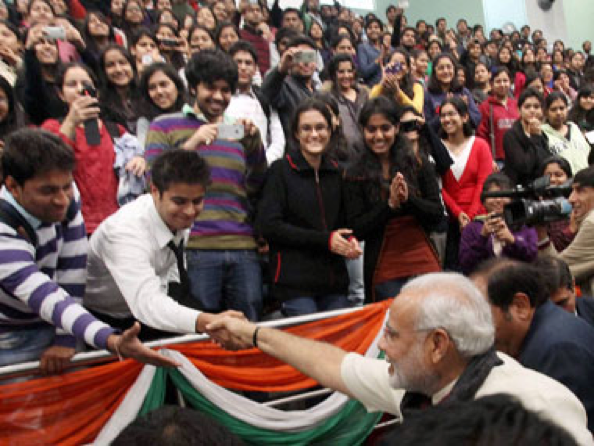 We, the youth haven’t always had the privilege of hearing a single political identity from the entire gamut of world’s largest democracy, one who could be looked up to. But, with the rise and rise of the erstwhile 14th Chief Minister of Gujarat and now the 15th Prime Minister of the country, things finally seemed to have changed for the better. The entire outlook of the country, save those of the biased critics of this highly enterprising gentleman who has turned the international purview and conception of a largely understated India into that of being a potent force offering marvelous opportunities has changed. And amidst his meteoric rise and his substantial contribution first as the successful Gujarat CM and now, as the Prime administrator of an India he so loves or so it seems, there lies a quagmire of events and accomplishments that we would do well to remember on the wake of our PM’s 65 birth anniversary. Let us revisit and cherish the good that this earnest man, often misunderstood but mostly dominating headlines world-over has come to attain for his punchy assessment of a rather optimistic view of his country when none fail to see one. By no stretch of imagination is our Prime Minister an academically gifted supremo. He doesn’t hold a single master’s degree for the sake of his international contemporaries to take his statements in their stride of open acceptance. But, he has one thing which most of the world’s leaders lack: a complete denial of that thing called self-consciousness or rather, inferiority complex. 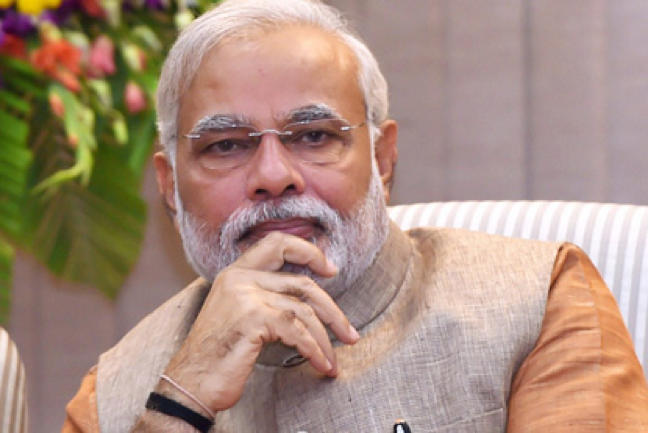 The highly enterprising Narendra Damodardas Modi, who prefers to call himself as the Pradhan Sevak of Bharat Gantantra instead of choosing to be called the Prime Minister breathes in an air of supreme self confidence. It is his pious understanding and love for his motherland and perhaps a succinct understanding of the diverse casket of issues, both on the cultural, social and economic side of the spectrum that have bolstered his self confidence with necessary knowledge that he has armed himself with. Wherever he goes and whoever our PM interacts with, it isn’t too difficult to understand his depth of understanding of a supremely large country that is known as much for its cultural variations as for its unique achievements. 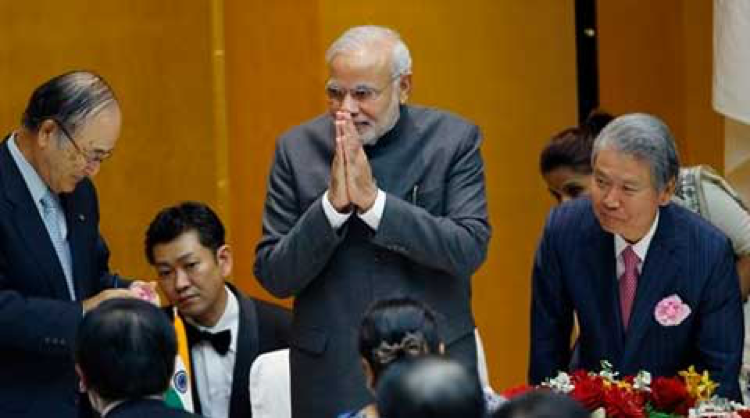 Be it his promising visit to Japan earlier this year or his internal visits to the far off stretches of India’s hinterland, one who welcomes Modi with open arms, he is a genuine leader who effervescently aspires to concoct a beautiful tale and episodic instances of a vastly promising India, that is hampered at times by internal chaos. Narendra Modi is perhaps the most outspoken and mindful executioner of words who doesn’t believe in lofty gargantuan praises of irrational exuberance. He speaks of India’s crisis and its opportunities in the same even breadth of the many wonders that have commanded our motherland. 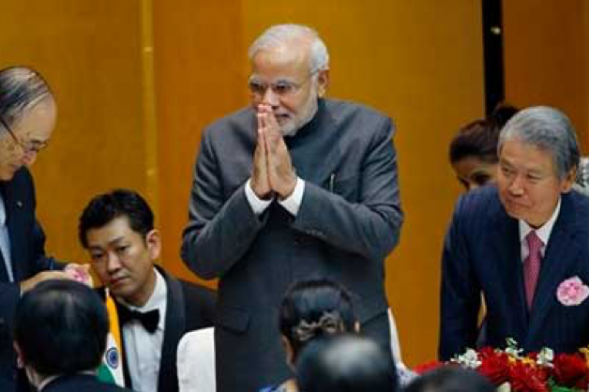 There is a distinct admiration for Modi’s unpolitical undertones that carry the charismatic smile and command over his audiences whilst the busy Prime Minister is in the middle of a speech or a rally talk. A poignant example of this was when he took to the UP constituency during the last year’s Lok Sabha elections. He was one amongst the people who had so welcomed a hitherto unseen but promising political leader. It is no surprise that Prime Minister Modi has his own share of critics, some of whom would rather dance unclothed to celebrate his ouster than to take pride in India’s mighty achievements. 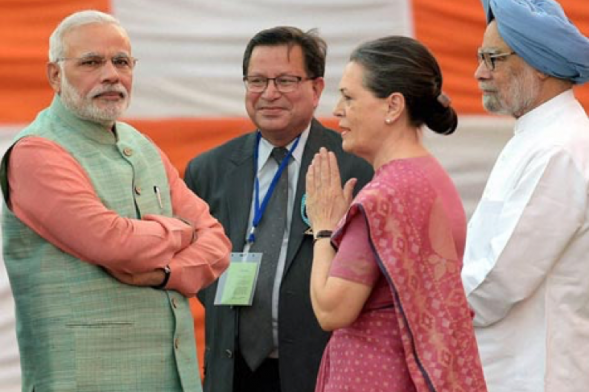 But, Modi isn’t an easy pushover either. Remarkably gifted with the insights that highlight the spoiler or weaknesses of his over promising political adversaries, most noticeably and obviously the Congress party and it’s scion Rahul Gandhi, Modi literally in his poll-contesting rallies during his bid to become the PM reduced Gandhi, half his age, to the size of a peanut in front of the Congress’ diatribe and miscalculated and hollow promises that the party made toward up scaling India’s image on both societal and economic spectrum. 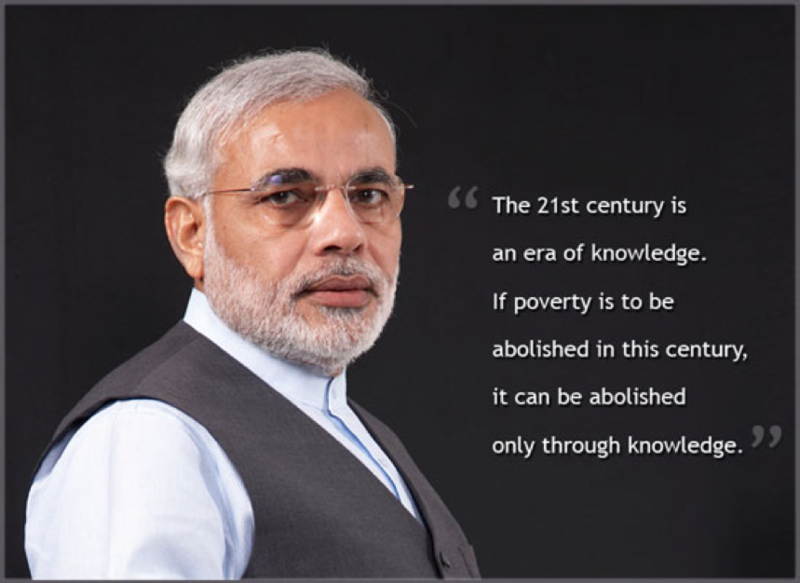 Modi who earned the wrath during the failure of his BJP Party’s control of the riots in 2002 that left Gujarat with permanent scars has also earned the laurels from global leaders and his own people for his collective understanding of an India whose image he willingly wishes to glorify. 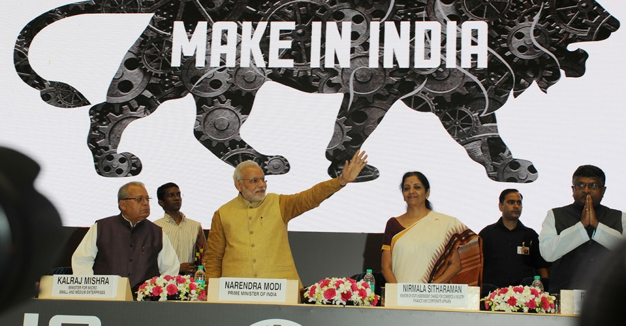 Amongst the real ace in Modi’s cog of timeless jewels has been the “Make in India” campaign. Narendra Modi, one who truly wishes to cater to world economies through conjuring massive production facilities in India, remains as passionate today after becoming the PM as he was when he successfully transformed the image of the iconic Gujarat that through his able efforts came to be known as a potent horizon for multiple businesses and entrepreneurial and manufacturing domains, and didn’t remain reduced to its perception as one of the most vibrant cultural destinations of our vivid country. 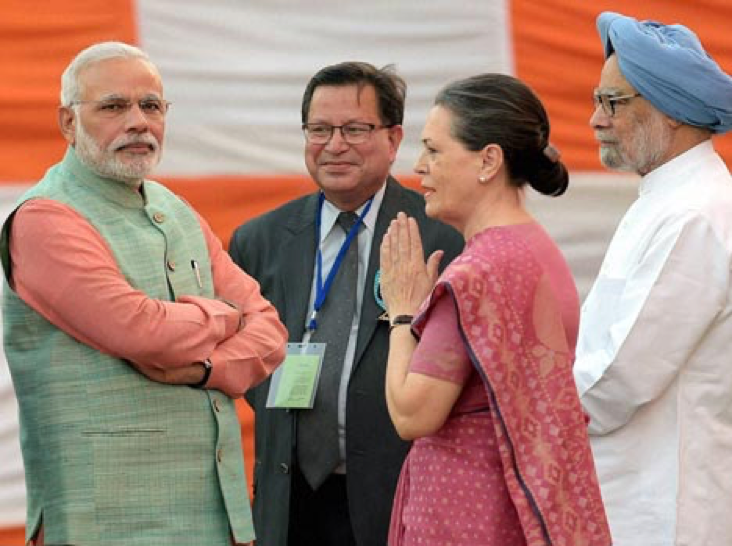 Modi truly wishes to cater to a completely transformed identity, image makeover and perception about India. The man who himself hired an elite Public Relations organization (APCO Worldwide) during his Prime Ministerial bid wishes to embark and succeed on a rather lanky target of making India an international tourists’ paradise. For this, he wishes to sweep past the bureaucratic anomalies that have hindered our country’s transformation. While it is still to be determined as to how efficient his close associates in his cabinet such as Amit Shah and Nitin Gadkari really are, but with the likes of Arun Jaitley, Sushma Swaraj and the ever outspoken but intellectually inclined Dr. Subramanian Swamy, he seems to have pulled in a bright lot that may just herald India to a new tide of transformation and not just cater to its image makeover. Modi also promises and rather correctly so to put an end to his hitherto unsuccessful ‘black money’ trail campaign, which despite its tectonic undercurrents seems still deliverable as compared to Kejeriwal’s verbal diatribes that achieved literally nothing. It isn’t common to see our country being riddled by dust, litter and gob-smacked by poverty and lack of any civil cleanliness, the phenomenon increasingly becoming a harsh everday reality of urban cities. 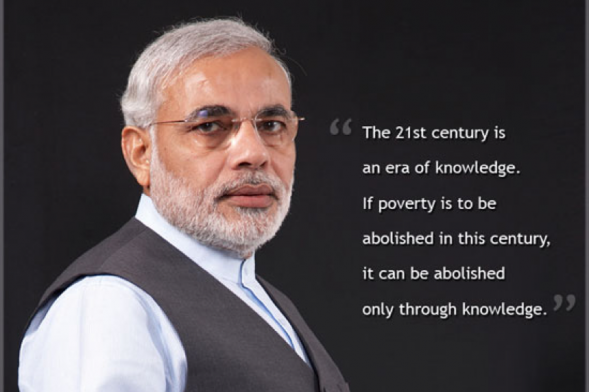 But, what is truly spectacular is to have at the helm of a largely developing country’s affairs a man who is focused, not only in his verbal delivery but in the follow up of his actions about bringing out a new change on the cleanliness drive that he so wishes to initiate in the entire country. 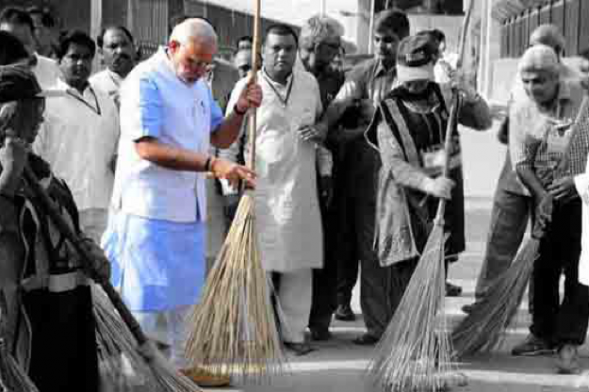 Titled the Swacch Bharat Abhiyan, or the Clean India campaign, the eternal optimist Modi has pumped in a massive 6400 crores into the campaign to sweep all the dirt across India, some that has physically reduced our charming cities to that of a dirt shop or an eye-sore, and some that promise to clear his opponents “tainted and foul mouthed” expressions of this dreamer who wishes to transform India. The world’s most important and largest human rights conservatory, the United Nations, based at New York, USA witnessed an enthralling spectacle last year. 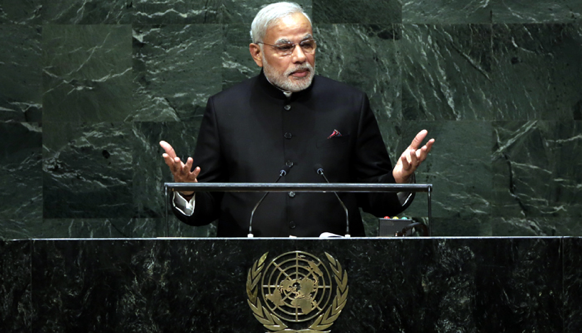 On the 26th September, 2014, none other than our PM Modi was invited to address the United Nations General Assembly, a historic outing for a man from such humble and simple beginnings. Using his customary intensity, breathtaking and captivating dialogue delivery based on the impetus of India’s promise to work toward developing and strengthening itself from within, Modi was both solidly grounded in extending India’ great vote of thanks for the UN’s vastly successful work in brining stability to unstable global regions but was sweetly enigmatic in captivating thousands of eminent luminaries from the divergent spectrum of Human Rights, International Law, Policy Makers and Social change makers. 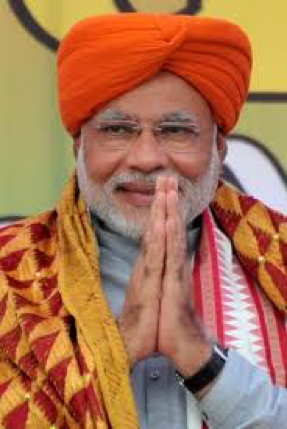 It is quite perplexing and yet, mesmerizing to note that this active and widely traveled Prime Minister who was once a small time tea vendor at Vadnagar and Ahmedabad in his early days is today the country’s grand administrator of its political functioning. From being a tourist in the 80s who visited the effervescent Washington D.C. as a nobody to someone who called an Obama as the Chief Guest to commemorate India’s 68th Independence Day, Modi has come and done what many haven’t achieved even in their dreams. Regarded my Germany’s Angela Markel for his progressive mindset and revered by the Japanese Premier, Modi is Burma’s closest ally, Bangladesh’s friend and Pakistan’s daring arch rival who commands fear over respect and yet remains humble and ever smiling as a person. 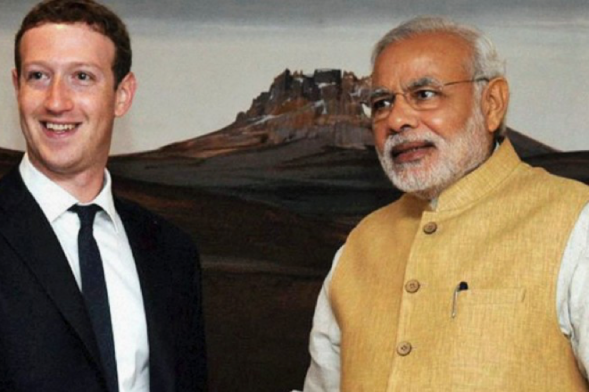 Recently, a few days ago, Narendra Modi met Facebook Founder Zuckerberg. 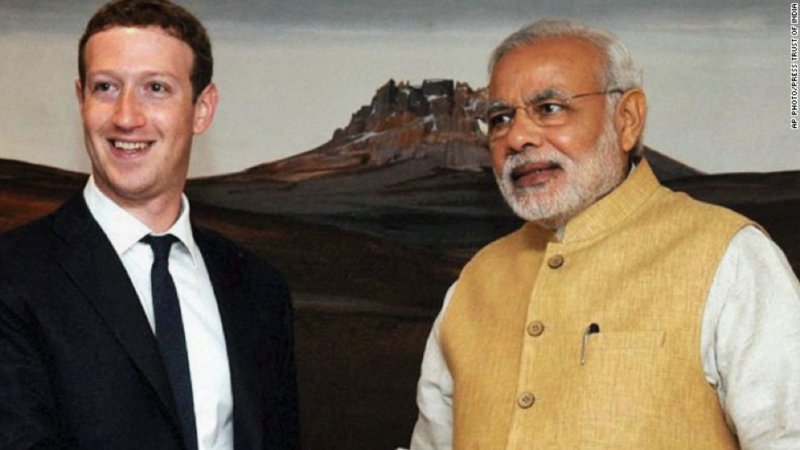 The American Jewish billionaire was in awe of Modi’s supreme understanding and passion of the importance and relevance of social media and the cultural phenomenon that Facebook has become. You have got to admit for all that he has attained in a memorable checkered political journey and for all the promises in whose wake he lies listless and on most times hazy but dreamy eyed, Narendra Modi isn’t a man you meet or come to know everyday. Happy Birthday dear Prime Minister.